Today the Prime Minister, Jacinda Ardern met with our members in the oil and gas industry in Taranaki, to explain the Government’s commitment to a carbon-free future by 2050, and to answer questions from those at the meeting. Below is the media statement explaining our support for the Government’s commitment to a Just Transition so workers are prepared for this new future. This should be credited to Paul Tolich, Senior Industrial Officer, E tū. “E tū supports the Government’s commitment to a Just Transition as it moves the country to a non-carbon future. “The union also welcomes the assurance by the Prime Minister, Jacinda Ardern that no current jobs will be affected by the announcement last month that there will be no permits issued this year for off-shore oil and gas exploration. “We also support and welcome the commitment to investment and development in diverse new industries in the Taranaki region, where so many of our members are based. “We accept the reality of climate change and believe it’s important that we start preparing now for the transition to a non-carbon economy over the next 30 years. This is the first step in a plan for the future. “A start has to be made now so this is a gradual change and people and communities can make the adjustment. This cannot be left to chance. We saw what happened when the economy restructured during the 1980s where there was no plan for new jobs for the people affected by those changes. That cannot happen this time. This time we have a plan with our commitment to a Just Transition. “If there is to be a carbon-free future, then there has to be a government-supported plan that will quickly produce new, clean technologies in New Zealand. These will provide the new jobs in the energy industry of the future. “Climate change and the drive to a non-carbon future are shaping our response – hence our support for the Just Transition process. But we must continue to campaign to turn a Just Transition plan into tangible results – specifically the production of goods and services by workers in new, quality jobs which are both skilled and well paid. 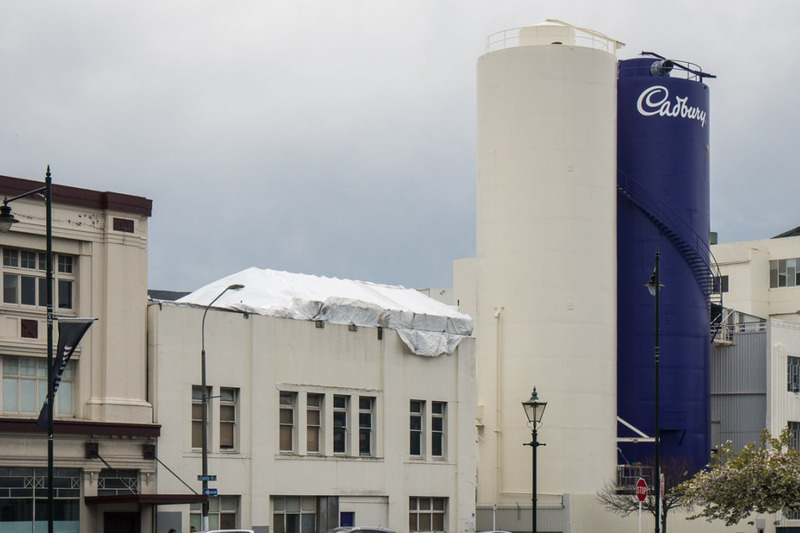 E tū says the announcement that Cadbury World is closing is a sudden and unexpected end to Cadbury’s presence in Dunedin. E tū understands Mondelez made the decision to close the popular tourist attraction because the land was needed for Dunedin’s new hospital. 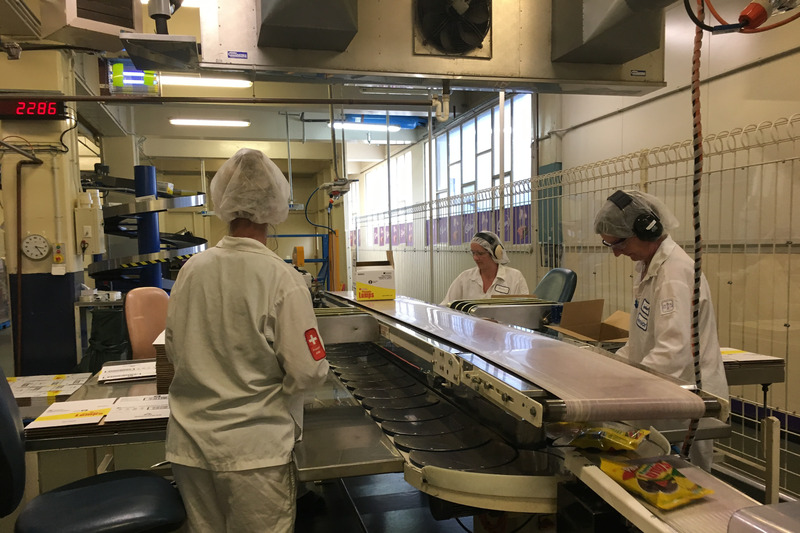 Workers learned of the decision earlier this month, with Mondelez closing Cadbury World this week while it consulted workers over whether to keep trading, or to shut immediately. “The workers were told they’d be paid whether the place reopened or not, and so they voted unanimously for closure, so they can get on with their lives and find new jobs,” says Phil Knight, E tū’s Industry Coordinator, Food. “It was a no brainer in the end,” he says. The workers have received six weeks’ notice in addition to any redundancy compensation that might be owed. “It’s been a quick and unexpected end and a sad end,” says Phil. “Everyone was led to believe the business would be maintained but it turned out that wasn’t the case so it’s a disappointment. “People will get what they’re entitled to including redundancy and notice, but it’s not a job,” he says. The health risks of insecure work have been exposed during Select Committee submissions today on the Employment Relations Amendment Bill. The Chairperson of the Hutt Union and Community Health Service, Muriel Tunoho told the Education and Workplace Select Committee that restoring meal breaks and protections for vulnerable workers is crucial to their health and wellbeing. “At our service, we regularly see patients whose health has suffered because they are vulnerable workers, in industries where work is precarious,” says Ms Tunoho. Part 6A of the Employment Relations Act protects the jobs of vulnerable workers, such as cleaners and catering assistants, where retendering results in a change of contractor. However, five years ago, an exemption was made for firms with fewer than 20 workers, resulting in many cleaners losing their jobs, while others have seen cuts to working hours, pay and conditions. 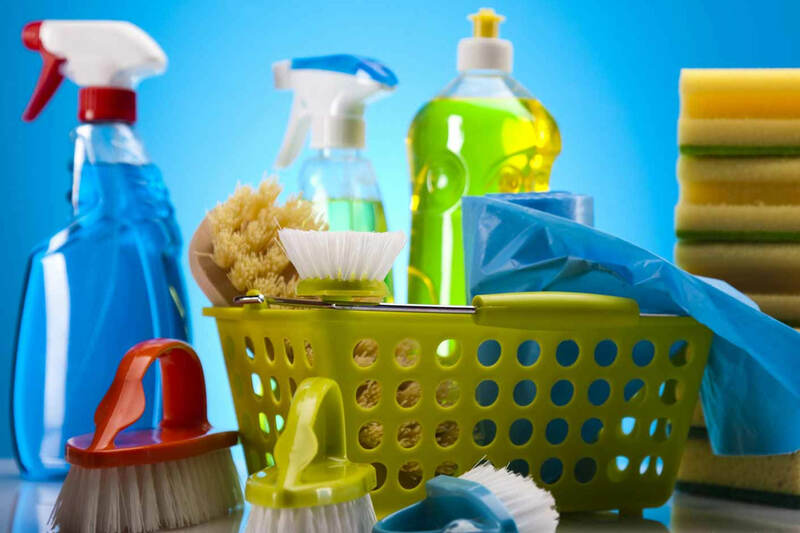 “One of our patients recently lost most of his cleaning job when some of the facilities he cleaned were tendered and awarded to a small contractor,” says Ms Tunoho. “His weekly pay dropped from $640.00 a week to $252.00 a week. He was struggling on his old income. His new income was impossible,” she said. Ms Tunoho says the Service welcomes the fact the bill puts all contractors on the same footing but said it would like security guards added to the list of vulnerable workers. E tū will be making more submissions on Part 6A, given the havoc wrought by the exemption. The union also supports the Tramways Union’s call this morning for bus drivers to be covered by Part 6A, following a tender process set to cost hundreds of bus drivers their jobs. One driver told the Select Committee the stress of possibly losing her job, or having her hours cut was causing her headaches, insomnia and depression. 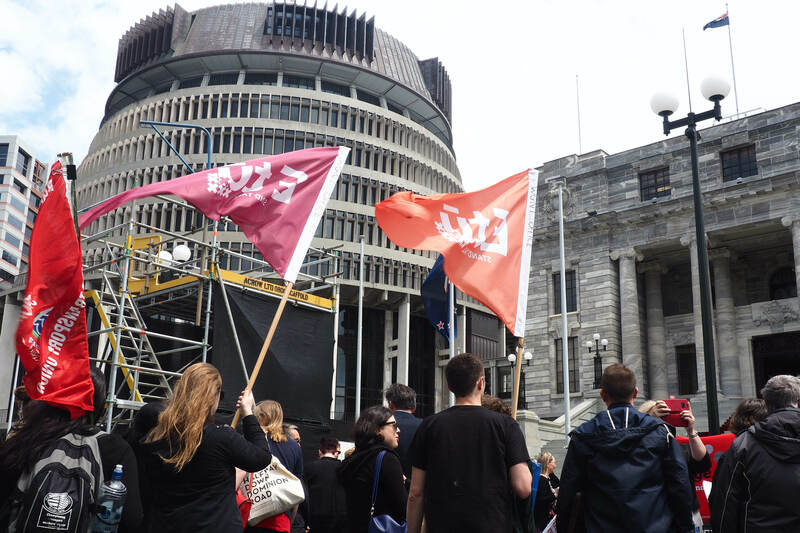 “The drivers are subject to the same retendering and contracting model which has resulted in such precarious conditions for many of our own members,” says Jill Ovens, E tū Industry Coordinator. “Often it is local and central government entities such as schools, police and councils which are the worst offenders,” says Jill. Workers at Blue Star Group’s four print shops are taking industrial action, with an overtime ban in place from just after midnight tonight. 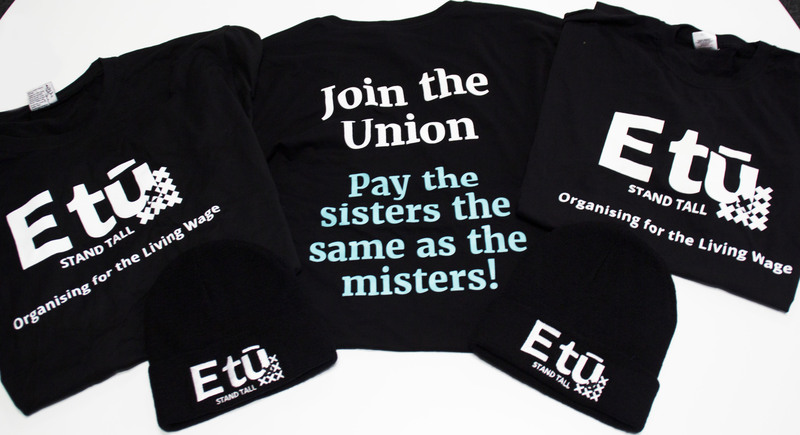 E tū Industry Coordinator, Joe Gallagher says the industrial action is a response to Blue Star’s unreasonable demands during bargaining to renew the collective agreement, which expired last year. “The company wants to claw back terms and conditions related to shift arrangements,” says Joe. “At the moment, they can change shifts if workers agree. But Blue Star wants to be able to do this as of right. They’ve told us if workers don’t agree to this they can apply for voluntary redundancy. In other words, take it or leave it, which is unacceptable,”. Member are also unhappy over Blue Star’s demand that workers disclose if they have a secondary job. “I asked what business that is of theirs and they cited health and safety. But what they really want is the right to reach into other people’s lives. Joe says the fact is many workers must work two jobs because of the high cost of living, especially in cities like Auckland and Wellington. “We’re seeing growing evidence of the haves and have-nots. People are trying to survive and it’s getting tougher and tougher. And companies are responding by trying to claw back more and more from their workers,” he says. Joe says members are also angry over Blue Star’s refusal to agree to back-pay any pay rise to the expiry date of their collective agreement.